Sometime you just write code without fully understanding the meaning. Like design pattern, maybe you already know part of them even use them very well. 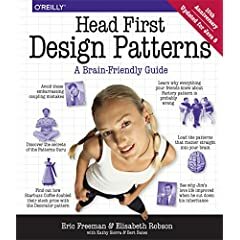 “Head First Design Patterns” is a good book, it use a story to let you know why you must use this pattern (some of us may not know forever). As this chapter “Singleton pattern”, I have already used it in my code everywhere. But I can not get fully understand why we have to use this, how to use this and how to prevent other this in multiple threading programming. I list a example fot singleton implementation.